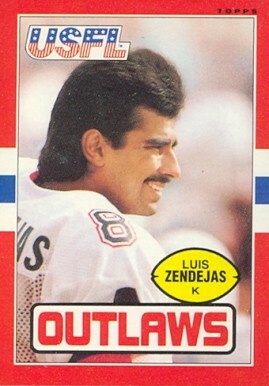 Kennedy was taken by Seattle as the third overall draft choice in 1990, with the hope of improving a chronically-deficient defensive line as the club switched to a 4-3 alignment. A lengthy holdout slowed his progress, but he began to show signs of his potential late in the season, especially in a 10-tackle performance against Miami. With surprising speed and great strength, Kennedy emerged in ’91 and was named to the Pro Bowl for the first time. Seahawks went 2-14 to finish fifth in the AFC West. 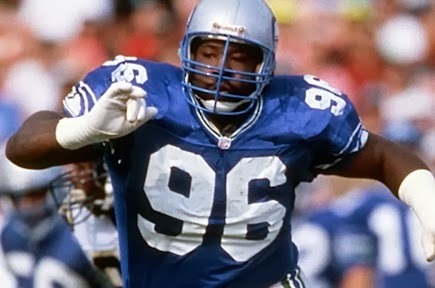 Kennedy was a consensus first-team All-NFL selection in 1993 and ’94, although he was consistently double- and triple-teamed and had just 10.5 sacks over the two years. While he took some criticism as a result, Kennedy benefited from the team’s improvement. 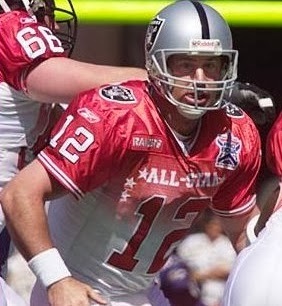 His string of Pro Bowl appearances ended at six when knee and ankle injuries cost him half of the 1997 season, but he came back to regain Pro Bowl recognition in 1998 and ’99. 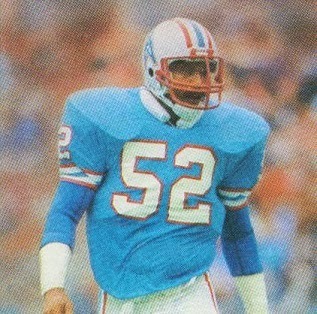 Kennedy retired following the 2000 season and, overall, in a career that was played entirely with the Seahawks, he was a consensus first-team All-NFL selection after three seasons, gained at least All-AFC honors after three others, and was selected to the Pro Bowl a total of eight times. He was credited with 58 sacks and 668 tackles. Kennedy’s #96 was retired by the Seahawks and he was inducted into the Pro Football Hall of Fame, Class of 2012. An all-purpose star in college, where he gained 1990 yards from scrimmage, Bull was taken by the Bears in the first round of the 1962 NFL draft (seventh overall; he was also chosen third overall by the Dallas Texans of the AFL). 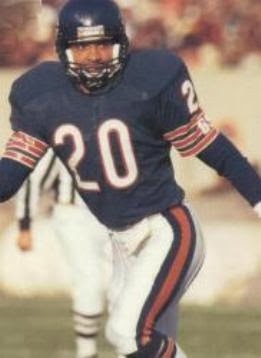 With veteran Willie Galimore a fixture at halfback, Bull started the season as a defensive back and saw scant action, but was shifted to offense when Galimore went down with a knee injury. 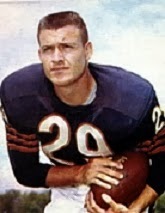 Bull followed up in 1963 by splitting time with Galimore and rushing for 404 yards on a career-high 117 carries while the defense carried the Bears to the NFL Championship. The arrival of HB Jon Arnett from the Rams cut into Bull’s playing time in ’64, and with outstanding HB Gale Sayers joining the team in 1965, he was used more at fullback. So it remained through 1970, a total of nine seasons with the Bears, as Bull split time with other backs. He lacked ideal speed at halfback and, with his blocking ability, was more successful at fullback, although he was small for the position. His highest rushing total was 472 yards, on 107 attempts, in 1968 when he played in tandem with HB Brian Piccolo after Sayers went down with a knee injury. Bull was with the Eagles for one last season in 1971, where he led the club in rushing but with just 351 yards. 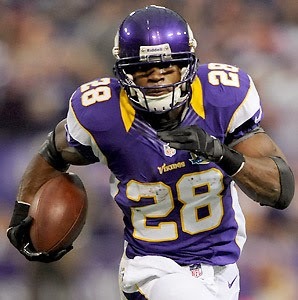 Overall, he ran for 3222 yards (2871 with the Bears) while averaging 3.7 yards per carry and caught 172 passes for 1479 yards (163 for 1404 in Chicago), scoring a total of 14 touchdowns. Son of NFL quarterback Archie Manning and a star in college, Manning was chosen by the Colts with the first overall draft pick in 1998. It didn’t take long for him to justify the selection as he set NFL rookie records with 3739 passing yards and 26 TD passes. He led the league with 575 pass attempts, also a record for a rookie at the time, but also with 28 interceptions on a 3-13 club. The record turned around to 13-3 in ’99, the Colts qualified for the postseason, and Manning was selected to the Pro Bowl for the first time as he passed for 4135 yards and, while he again threw 26 TD passes, his interceptions dropped to 15. A classic drop-back passer, he lacked his father’s mobility but made up for it with a quick release – not to mention an excellent work ethic. 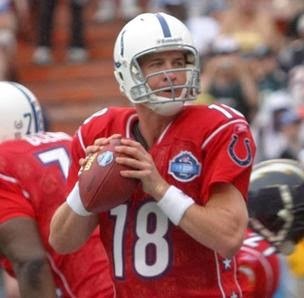 Manning led the NFL with 357 completions, 4413 yards, and 33 TD passes in 2000 and again was chosen for the Pro Bowl. 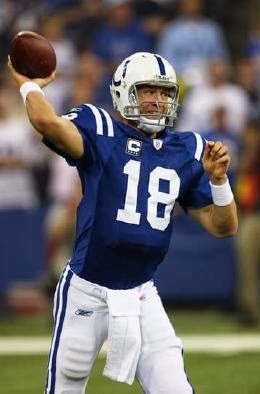 Following a lesser year in ’01 as the Colts dropped to 6-10, he bounced back with a third Pro Bowl season in 2002, passing for 4200 yards (his fourth straight year over 4000) and 27 touchdowns. Manning received MVP recognition in 2003 after leading the NFL in completions (379), yards (4267), and completion percentage (67.0). He again received MVP honors and was a consensus first-team All-Pro in 2004 as he set a record with 49 TD passes while leading the league in passing (121.1 rating) for the first of three straight years and also topped the NFL in TD percentage (9.9) and yards per attempt (9.2). He was consensus first-team All-Pro for the third consecutive year in 2005 and, in ’06, finally overcame years of frustration in the playoffs as the Colts won the Super Bowl. Manning led the NFL in TD passes with 31 that year, against just 9 interceptions. In 2008, he was selected to his seventh straight Pro Bowl (ninth overall) and was over 4000 passing yards for the ninth time, and again received MVP recognition (AP, PFWA, Sporting News), although the team lost to the Steelers in the AFC Championship game. Colts went 14-2 to finish first in the AFC West with the best record in the conference while leading the AFC in touchdowns (53). Won AFC Divisional playoff over Baltimore Ravens (20-3) and AFC Championship over New York Jets (30-17). 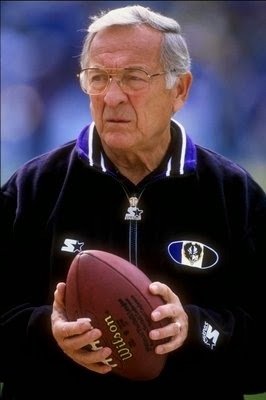 Lost Super Bowl to New Orleans Saints (31-17). Manning was again a Pro Bowl selection in 2010, but after starting 208 regular season games at quarterback, he was sidelined for all of 2011 with a neck injury. Released by the Colts and signed by the Denver Broncos for 2012, Manning made a successful comeback and led the NFL in completion percentage (68.6) while passing for 4659 yards and 37 TDs, and had an even bigger year in 2013 as he set records with 5477 passing yards and 55 TD passes, again attaining MVP honors while the Broncos won the AFC title. 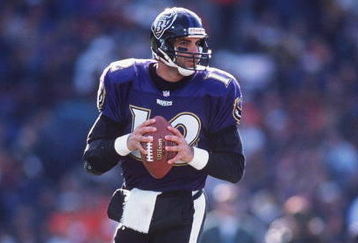 Through 2013, he had passed for 64,964 yards, with 13 seasons over 4000, and 491 TD passes. 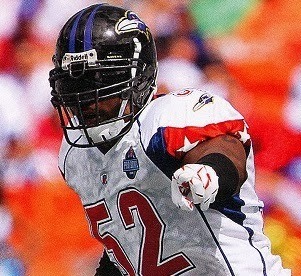 Lewis was chosen by the Ravens in the first round of the 1996 NFL draft and inserted into the starting lineup at middle linebacker as a rookie, and had an immediate impact. 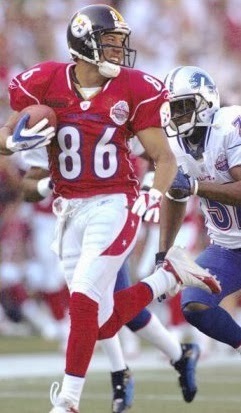 He was chosen to the Pro Bowl for the first time in ’97 and was a consensus first-team All-NFL selection in 1999. With outstanding instincts, intensity, and speed that allowed him to cover a large area and make plays, Lewis was well-established as one of the premier linebackers in the NFL. The only concerns about him following the ’99 season pertained to off-field issues surrounding an altercation outside an Atlanta nightclub that ended in two stabbing deaths, but following a plea bargain that included his testimony against two associates, he was back in action in 2000 (and was also heavily fined by the NFL). Ravens went 12-4 to finish second in the AFC Central and qualify for a Wild Card playoff spot while leading the NFL in fewest rushing yards (970) and points allowed (165), both records for a 16-game season. Won AFC Wild Card playoff over Denver Broncos (21-3), AFC Divisional playoff over Tennessee Titans (24-10), AFC Championship over Oakland Raiders (16-3), and Super Bowl over New York Giants (34-7). Lewis was a consensus first-team All-NFL selection for the third straight year in 2001 as well as Pro Bowl choice for the fifth consecutive season. He adjusted well to a shift to inside linebacker as the Ravens switched to a 3-4 defense in ’02 but he was limited to five games due to a shoulder injury. Lewis bounced back to again be named NFL Defensive Player of the Year in 2003 and, other than a hamstring injury that cost him time in ’05, remained a regular Pro Bowl choice through 2011, his next-to-last season at age 36. 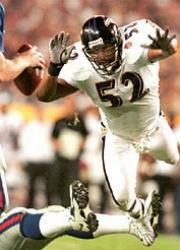 Overall, Lewis played for 17 years, all with Baltimore, and recorded 41.5 sacks, intercepted 31 passes, and was credited with over 1500 tackles. 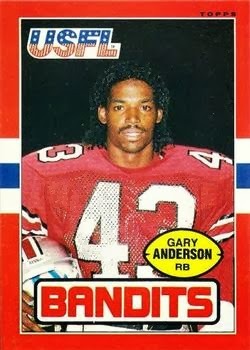 He was a consensus first-team All-NFL selection seven times, received at least some second-team recognition after four other seasons, and was chosen to the Pro Bowl on 13 occasions. Lewis capped his career in 2012 by playing in another Super Bowl, also won by the Ravens.